W9220406 Features: -Ceramic filter is impregnated with silver to prevent bacterial growth. 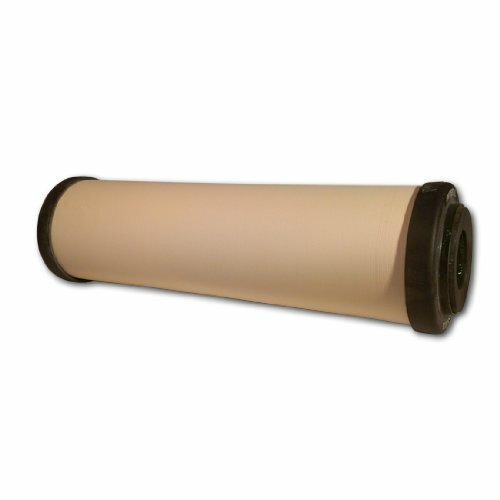 -Ceramic filter can be gently scrubbed clean with a brush for an extended life. -Does not reduce fluoride. -Genuine OEM product. Product Type: -Under-sink. Filter Component: -Replacement filter. Dimensions: Overall Height - Top to Bottom: -11.25". Overall Width - Side to Side: -3.63". Overall Depth - Front to Back: -3.63". Overall Product Weight: -0.95 lbs. Specifications: NSF Certified: -Yes. ADA Compliant: -Yes. If you have any questions about this product by Doulton, contact us by completing and submitting the form below. If you are looking for a specif part number, please include it with your message.